At a time when upper caste-OBC groups in Madhya Pradesh are protesting against the SC/ST Act, a tribal group has said it will contest the year-end assembly elections to form a tribal government in the state. Jai Adivasi Yuva Shakti (JAYS) started as a group on Facebook in 2012. Six years on, it has around 15 lakh members in 10 states, including Madhya Pradesh, Jharkhand, Rajasthan, Chhattisgarh and Odisha, Hiralal Alawa, the founder of JAYS, claimed. Alawa worked as a doctor at AIIMS in New Delhi till 2016. He then returned to Dhar district, his hometown, to "take the fight for the rights of tribal people to the next level". "We are uniting the tribal populations in 10 states where scheduled areas have been declared under the Fifth Schedule of the Constitution," he said. "We are demanding proper implementation of the Fifth Schedule and the Panchayats (Extension to Scheduled Areas) Act and that the benefits of the Forest Act be extended to tribal people," Alawa said. The Fifth Schedule under Article 244 (1) of the Constitution defines scheduled areas. The purpose of such areas is to preserve the tribal autonomy, their culture, and economic empowerment to ensure social, economic and political justice. "A large number of tribal children are dying due to malnutrition. Scores of people are being displaced from their areas. The government has failed to provide electricity and drinking water in tribal villages," he alleged. Tribal children do not have access to education and healthcare. Development funds do not reach such areas due to corruption. There is no employment even under the government's rural employment guarantee scheme MNREGA, he rued. There are 47 leaders representing tribal populations in Parliament and around 600 tribal legislators in state assemblies, but they have been ineffective in highlighting the issues of their people. The tribal MPs and MLAs are busy spreading their party's propaganda, the JAYS founder alleged. The JAYS had recently organized a mahapanchayat at Manawar in Dhar district "where around 50,000 tribal people protested against the Madhya Pradesh government's decision to give 32 Adivasi villages to UltraTech. The government just gave a meager sum as compensation to the displaced people," Alawa said. He claimed the "adivasi adhikar yatra" started by JAYS in July compelled Chief Minister Shivraj Singh Chouhan to declare a holiday on UN Day for Indigenous People on August 9 in 20 tribal-dominated districts of Madhya Pradesh. The yatra will culminate on Sunday. He said a JAYS delegation met the chief minister on August 3 and submitted a 25-point charter of demands but "he did not act on our requests". "To make its voice heard, the JAYS has decided to fight elections in 47 ST reserved seats and 33 other seats, each having 40,000 to 50,000 tribal voters. Our slogan is 'abki baar adivasi sarkar'," the activist said. He said that the JAYS is ready to give support to any party willing to work for tribals. Alawa said that the Congress is in talks with the JAYS and the group may extend support to the party. According to him, 162 JAYS-backed candidates had won student union polls in tribal-dominated districts of Dhar, Barwani, Jhabua, and Alirajpur last year, defeating nominees having the support of the ABVP and NSUI of the Congress. The Bharatiya Janata Party, however, does not consider the JAYS a challenge and seems more worried about the ongoing protests by upper caste-OBC groups. There is a perception that the BJP gets its maximum votes from upper castes and OBC blocs. Also, many leaders of JAYS have left it due to an "internal rift" in the tribal group, a BJP leader said on condition of anonymity. 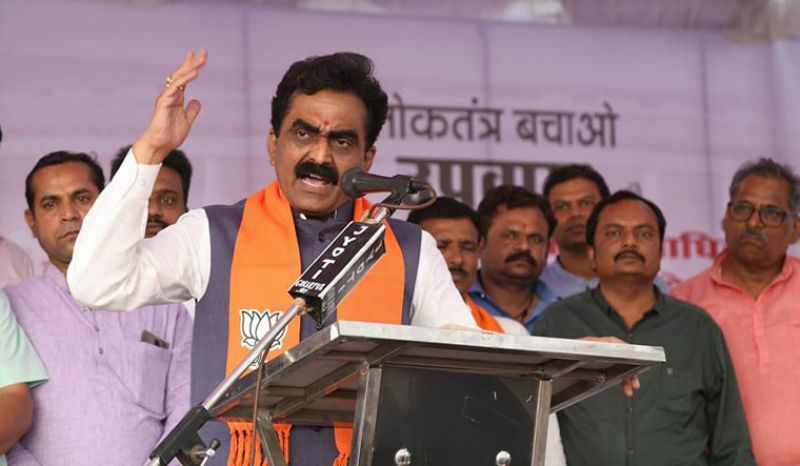 On the issues of tribals, the BJP's state unit chief Rakesh Singh said, "Our government is moving ahead taking every section of society along. We are working for everyone." Asked about the upper caste-OBC protests, he said, "It is a sensitive issue and should not be politicised." On the protests against the SC/ST Act, Alawa said, "These upper caste groups inflict atrocities on Dalits and Scheduled Tribes. This has been the case for long. We may launch a counter-agitation.